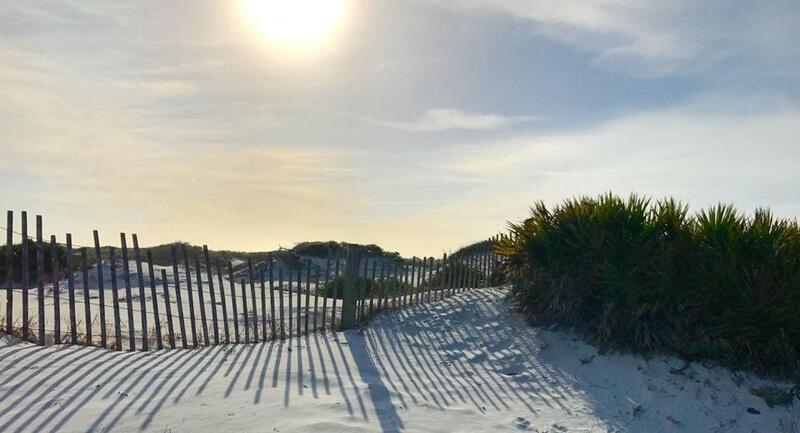 Afternoon shadows in the dunes at Grayton Beach State Park in Santa Rosa Beach, Fla.
DESTIN, Fla. — Don’t try to get fancy with me, Florida. I think we’ve spent enough time together that we’re past such formalities. You can call your beautiful 100-mile stretch of beaches along the Panhandle between Pensacola and Panama City the Emerald Coast, but let’s drop the pretense. If I can see multiple Waffle Houses, Dollar Generals, tattoo parlors, and a lot of Chick-fil-A signs within a mile of the beach, then the color I’m seeing is not emerald. This is clearly the Redneck Riviera. Don’t look at me like that, Florida. Redneck Riviera is not an insult. I have never seen such pristine, soft, powdery white sand on any other US beach, and I’ve spread my towel and planted my ample buttocks on a lot of beaches. You’ve even got many Caribbean islands beat. Your Gulf shore beaches are so lovely and inviting that I suggest you tack the name “Riviera” onto all of them. These beaches are much nicer than anything on your east or west coasts, and I don’t think enough people know about them. You think I’m being patronizing, don’t you, Florida? My words are sincere. I stepped onto the sand at Grayton Beach State Park and I was in love. I took an afternoon hike in the dunes, I watched sandpipers frolic — yes, I said frolic — in the waves, and I baked in the sun. Nantucket can be overwhelmingly preppy and the Hamptons are a scene (with a capital “S” and a well-placed eye roll), but their beaches are nowhere near as nice as yours! You have given us a great gift. Your Panhandle riviera is a place where a man can open a can of sour cream and onion Pringles and sip bright green key lime soda without shame or judgment. I think I speak for everyone who loves the freedom of eating sour cream and onion Pringles on the beach when I say thank you. You are the real deal. Embrace it. Don’t pretend you are unaware of this, Florida. The welcome sign at the entrance of Henderson Beach State Park in Destin reads “the real Florida.” By definition this means that you consider the other parts of the state a bit unreal. You’re admitting that Miami can be ridiculous and that you’ve lost patience with the Tom Foolery of Daytona Beach and those landlocked amusement parks filled with mouse ears and men in tights. I know what you’re going to say, Florida, and there’s no need. You want me to look away from the redneckery of the strip malls and the many, many Alvin’s Island Tropical Department Stores along Route 98 and instead focus my attention toward scenic Route 30A in South Walton County. You’ll be happy to know that I did this, many times. 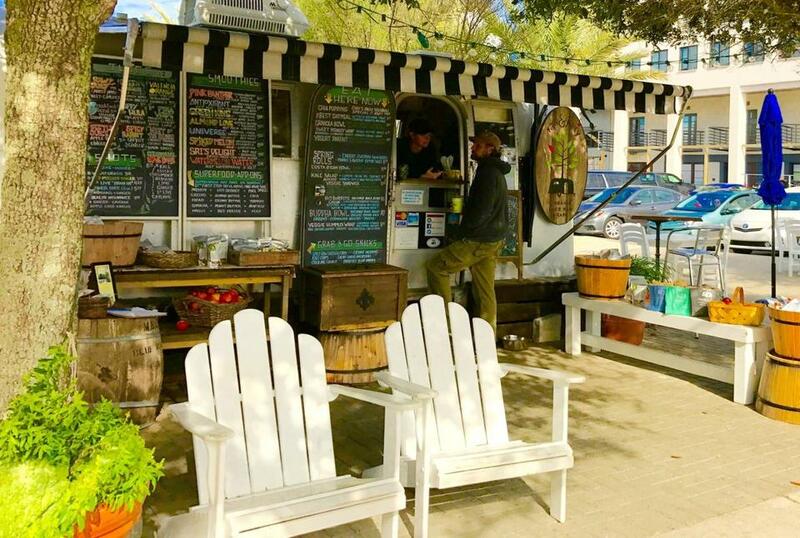 Airstream trailers used as food trucks in Seaside. What’s that, Florida? Yes, I saw the row of Airstream trailers in Seaside that are used as food trucks. I even sampled the gourmet grilled cheese. I get it. This is more emerald green than redneck. I saw the chic gastro pub and all those home furnishing stores. I even saw the artisanal popsicle shop. I could handle artisanal popsicles, but do you know what I couldn’t handle, Florida? The Traditional Neighborhood Development named WaterColor. WaterColor is not the name of a proper town. That’s a name best left for one of Gwyneth Paltrow’s children. I’m being unnecessarily harsh. Once I got past the Stepford-like concept of these planned towns, I could see that there was a lot happening in South Walton. I kayaked in one of the rare coastal dune lakes. 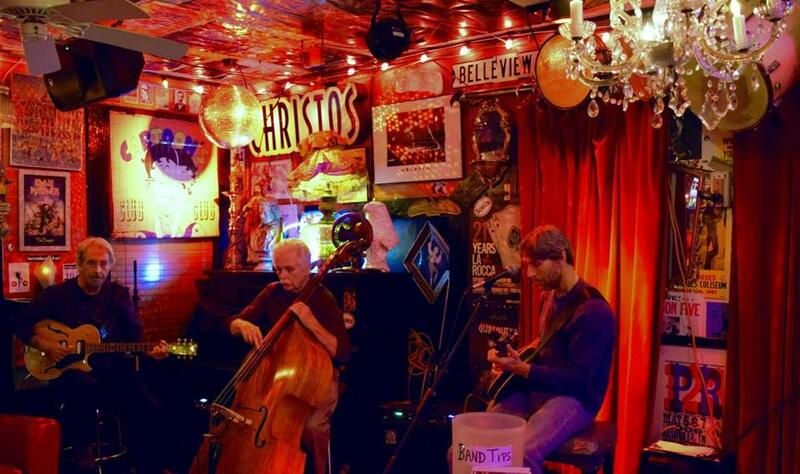 I tried the blackened grouper at the Red Bar in Santa Rosa and talked about 1980s pop music at the Great Southern Cafe with a boryeyed group of gents who were highly suspicious of my deep affection for Frankie Goes to Hollywood. But I think we can agree, Florida, that it’s not important if the store is Lululemon or Dollar General, or if the restaurant is Waffle House or a bakery that serves organic cinnamon rolls. What’s important along your Panhandle are the beaches. You offer options that many beach communities can’t. I could have a bargain vacation, or go for a posh experience. Regardless of how much I spend, I’d still have access to those million dollar beaches. Emerald Coast or Redneck Riviera, I think we both know that the important color is the white of the sugary sand. The rest is a matter of taste. Can we at least agree on that, Florida? And while we’re at it, how about adding vending machines that sell sour cream and onion Pringles and key lime soda at every state beach?